If you’re on the hunt for a sedan that will excite you each time you get behind the wheel, there’s a good chance that you’d like to see the 2018 Mazda6 and 2019 Nissan Altima go head to head! After all, these two vehicles start right in the same price range, offer similar engines, and include a long list of standard features. However, comparing the Mazda6 vs. Nissan Altima, it’s not hard to see that the Mazda comes out far ahead of its competitor. Find out how their performances and standard features compare before scheduling your visit to Biggers Mazda near Schaumburg. Performance: Mazda6 or Nissan Altima? The Mazda6 comes standard with a 6-speed automatic transmission with a Sport Mode, while the Nissan Altima includes a continuously variable transmission. For added savings and a more driver-focused touring experience, one can also choose to equip the Mazda6 with a manual transmission! No comparable equipment is available for the Altima. The Mazda6 SKYACTIV®-G engine maximizes fuel compression to deliver superior low-speed torque for your St Charles and Geneva drives. In their baseline trims, the Mazda6 delivers more horsepower and torque than the Altima. Upgrade, and the Mazda advantage in torque becomes even more significant. Only the Mazda6 delivers torque vectoring technology with G-Vectoring Control. The Altima doesn’t offer torque vectoring. Drivers do have one reason to choose the Altima over the Mazda6: with less torque and performance capability, the Altima is able to deliver slightly higher fuel economy ratings, in the city or on the highway. This helps to make the Nissan more competitive, but the Altima still falls far short of the high standard set by the Mazda6 performance. 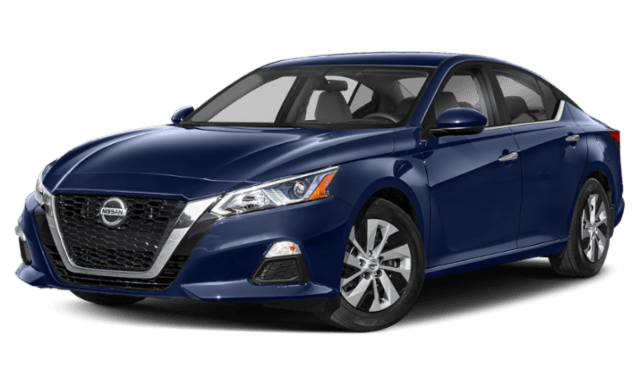 Safety Technology: Nissan Altima or Mazda6? What’s more, the baseline configuration of the 2018 Mazda6 offers many optional driver-assistance features that aren’t available at all on the standard trim of the Altima. These include adaptive cruise control, a rear parking aid, rain-sensing windshield wipers, a lane departure warning, and lane keeping assist. In order to access similar technologies in the Altima, you’ll need to upgrade to an entirely new and more expensive trim level. Step Inside the 2018 Mazda6 at Biggers Mazda! We’ve barely scratched the surface of what sets the 2018 Mazda6 apart! When you schedule a test drive in any of the new Mazda6 models at Biggers Mazda, you’ll have the opportunity to get firsthand experience with this sedan’s standard dual-zone automatic climate control, leather-wrapped steering wheel, and hands-free communication system, all of which cost extra in the Altima. 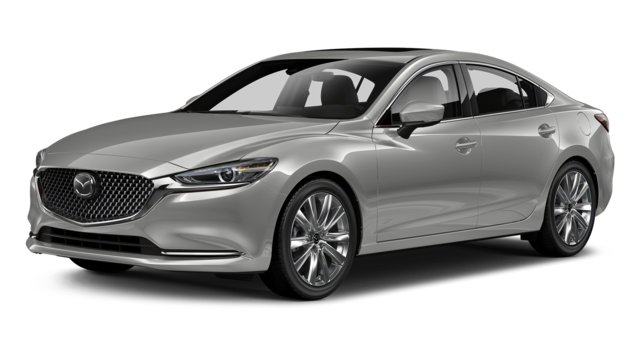 Compare the Mazda6 to the 2019 Toyota Camry or the 2018 Honda Accord to learn more, or get in touch to apply for financing today!